Lakshadeep Pvt Ltd has offered Rs 1,200 crore in cash to the banks, Rs 4,000 crore of land parcel and the rest in form of long-term non-convertible debentures in the insolvency auction. A small equity stake to lenders is also part of the offer. 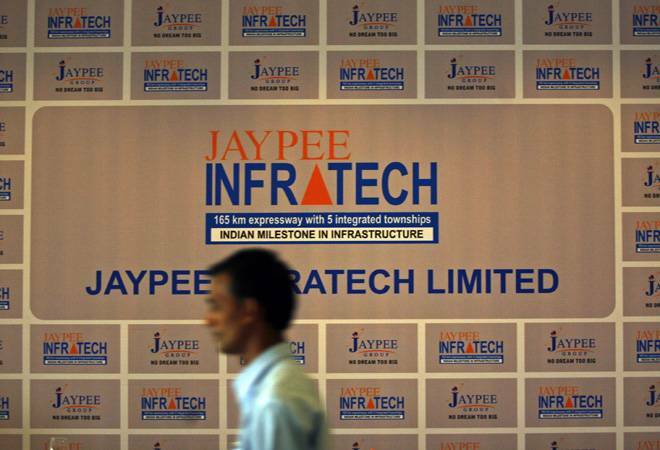 Lakshadeep Pvt Ltd has emerged as the front-runner to acquire Jaypee Infratech with a bid of around Rs 7,350 crore. This offer, however, is way lower than what the real estate developer had proposed to lenders a year back to pay off debt. Lakshadeep Pvt Ltd, a joint venture between Sudhir Valia-led Suraksha Asset Reconstruction Company and Mumbai-based Dosti Realty, has offered Rs 1,200 crore in cash to the banks, Rs 4,000 crore of land parcel and the rest in form of long-term non-convertible debentures in the insolvency auction, sources privy to the development said. A small equity stake to lenders is also part of the offer. It beat Adani Group, which had offered Rs 1,200 crore in cash, Rs 3,500 crore of land parcel and Rs 3,000 crore of back-dated instruments whose net present value is Rs 500 crore to Rs 1,000 crore. Lakshadeep's offer is, however, not better than the proposal Jaypee Infratech Ltd (JIL) had made to the joint lenders forum chaired by MDs of IDBI Bank and IIFCL on March 8, 2017, months before the real estate company was referred to the NCLT. To pay off Rs 8,500 crore of debt including interest, JIL had offered to pay 10 per cent per annum interest on Rs 3,140 crore of sustainable debt to be retained on its books and the rest to be paid off by giving 448 acres of land worth Rs 2,340 crore as well as optionally convertible debentures and conversion of debt into equity, sources said. Lenders were to get an equity of 23 per cent following this exercise where Yes Bank had agreed to give Rs 1,100 crore to promoters for infusing in the business. But the joint lenders form did not act on the understanding reached during the March meeting. In June 2016, the company figured in the Reserve Bank of India's list of 12 big corporate defaulters, which was referred to the NCLT for insolvency proceedings. Sources said soon after, the firm made an offer to lenders to square of all the debt from proceeds of land swap and monetisation of revenues expected from toll on its expressway. The company has now approached the Supreme Court with the plea that it be allowed to submit a resolution plan or be permitted to submit a bid in the insolvency proceedings. JIL, which has as per the Supreme Court directions already deposited Rs 650 crore for compensation to home-buyers whose promised houses have not been delivered, says it is in the best position to complete the unfinished construction within 3 years. Other bidders will take at least five years to complete the work. JIL feels the company whose liquidation value is Rs 15,000 crore is being sold for less than half. In the bids received in the insolvency auction, lenders are getting a combined equity stake of just 3.5 per cent and the company would be delisted from stock exchanges after writing of all the existing equity capital.